We’re bringing the “campaign-in-waiting” model to State Legislative districts in Florida for the first time! And unlike other district funds, we can support our candidates before the primary, if FYD endorses a candidate! 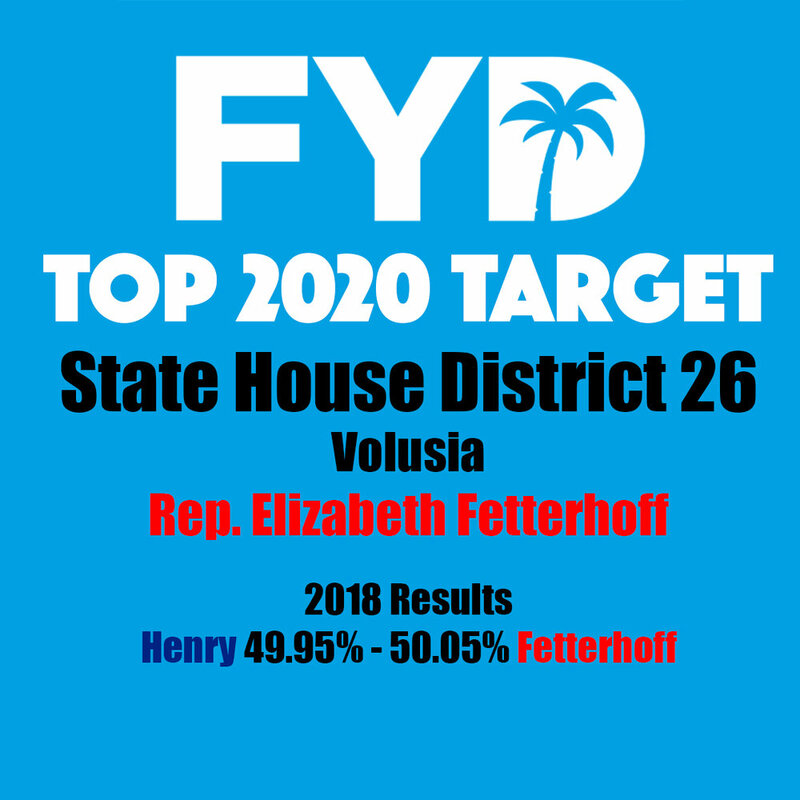 We’ve targeted top flip opportunities all over Florida, with a special emphasis on districts like HD 28, HD 83 and HD 105, where Young Democrats came within 4 points of flipping seats. In 2018, our Democrats for State House seats were out-funded anywhere between 3-to-1 and 15-to-1. FYD is closing that gap, one dollar at a time. This open seat, being vacated by term limited Sen. David Simmons is one of Democrats best shots at a State Senate seat in 2020, but our candidate will face deep pocketed likely nominee Rep. Jason Broduer and will need every dollar to win! 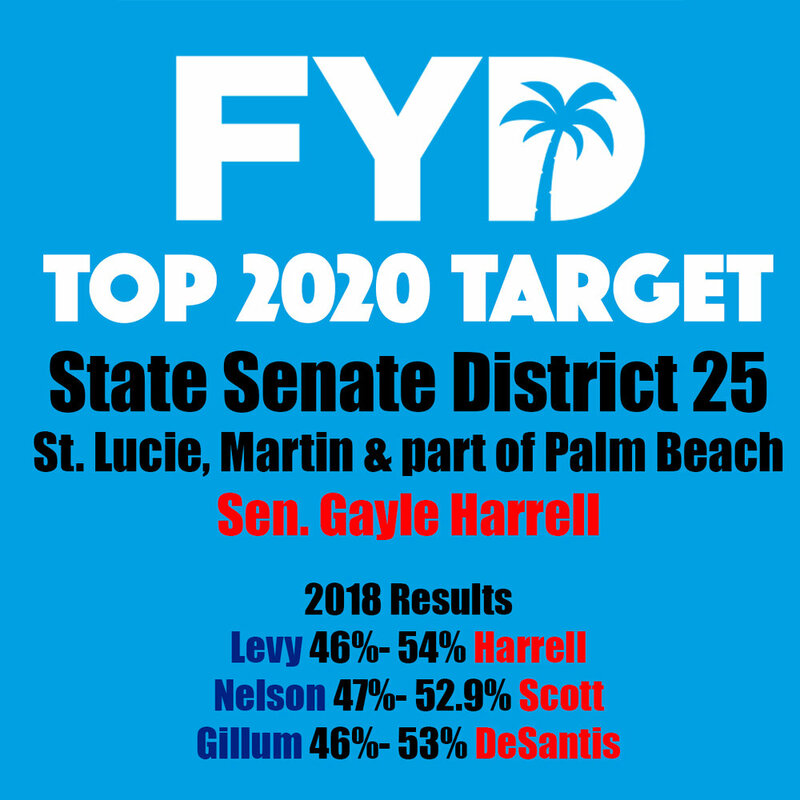 Sen. Gayle Harrell has been one of the most vocal opponents of pretty much anything Florida voters want- medical marijuana, rights restoration, clean water, and more. Her biggest funders are FMA and Big $ugar will help Harrell continue her record of nasty, negative campaigns. 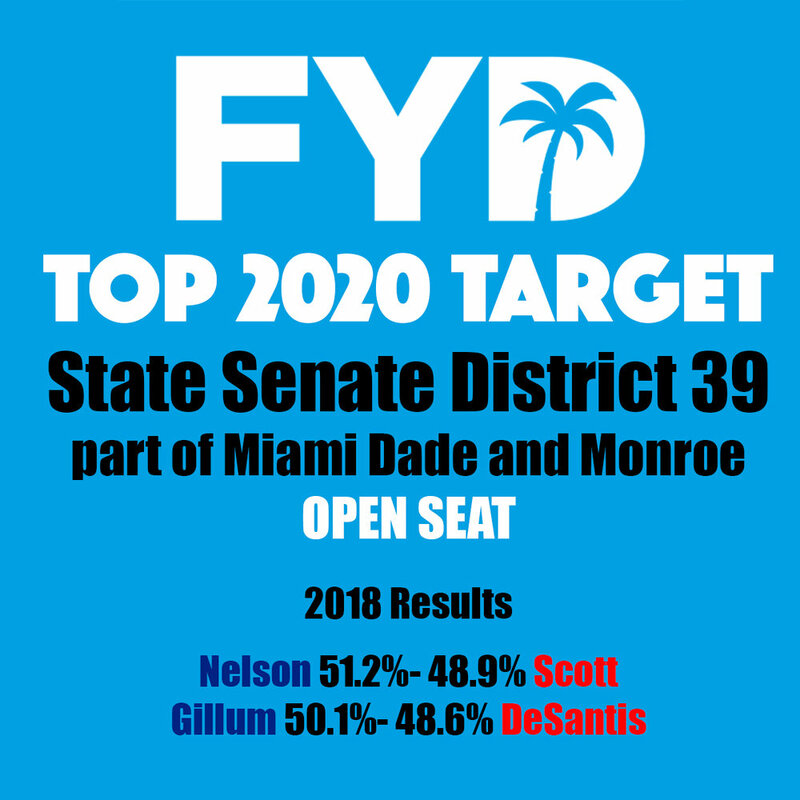 Sen. Anitere Flores is terming out, leaving SD 39 open and a prime democratic pickup opportunity. Democrats can beat deep-pocketed State Rep. Raschein, but we’ll need to fund a competent campaign in Miami’s expensive media market.